Step #1 Prevent Accidents! 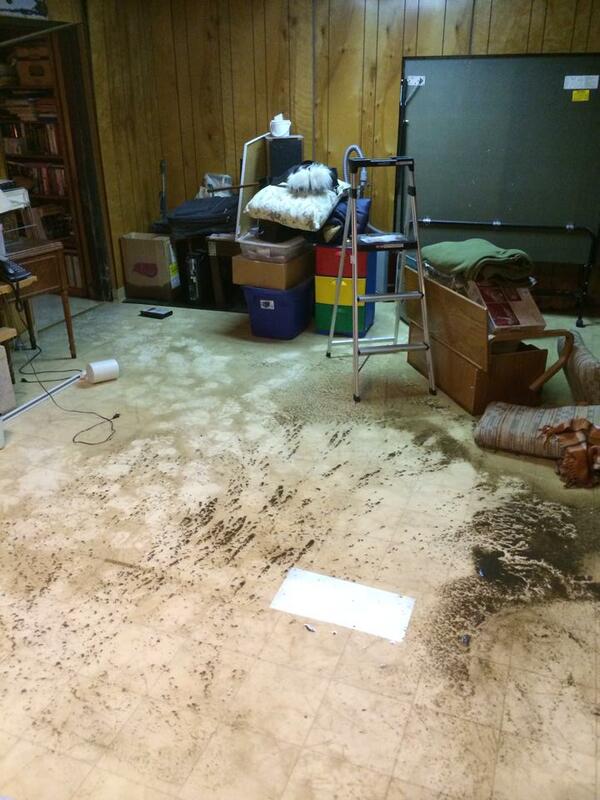 Wet, slippery floors are the #1 hazard when dealing with a water loss. If you’re going to be in among the wet areas, make sure you are wearing shoes with a slip-resistant sole. And also make sure to pay special attention to tripping hazards. One of the other major accidents that could happen comes when you mix water and electricity. Electrocution can potentially be an issue if water has gotten into power strips, extension cords, OR, in deeper water situations, electrical outlets. NEVER walk into standing water without first knowing if power is shut off to the areas affected. In sewage back up or river flooding situations, it’s important to keep from coming in contact with the affected area or the water that has come in. Your health could be at risk from the potentially harmful bacteria that may be contained in the water. Proper personal protective equipment is a must when working in these conditions. At a bare minimum you should use splash goggles, gloves, and rubber boots. Step #2 Find and stop the Source! Once Accident Prevention steps have been taken, find the source of the issue and get it resolved. If you are unable to find the issue, call me and I will be able to help you. Drying and restoring the area can be a waste of time and money if the issue is not resolved. Step #3 Remove valuables and furniture! Wood stain can bleed out of wet wood and brightly colored fabrics can also bleed out and into carpet fairly quickly and can actually become permanent instantly. Metal objects can rust and cause staining of the carpet. These can sometimes become difficult to remove as well, depending on the severity. 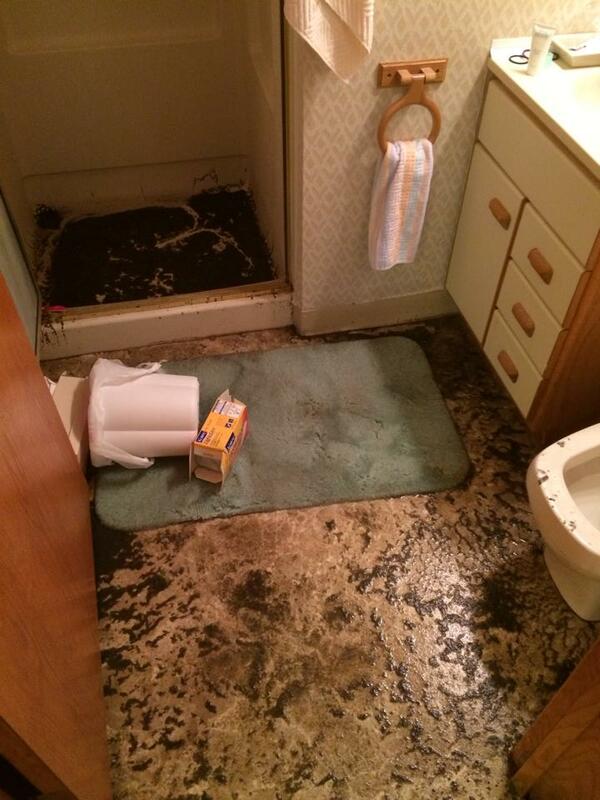 Besides for the effects on the carpet, the water can also permanently damage your belongings. Help keep your losses to a minimum by immediately removing them, after step 1 and 2 are performed, of course. Step #4 Call The Calvary! If you have not already called me during these steps, it’s important to do so right away. 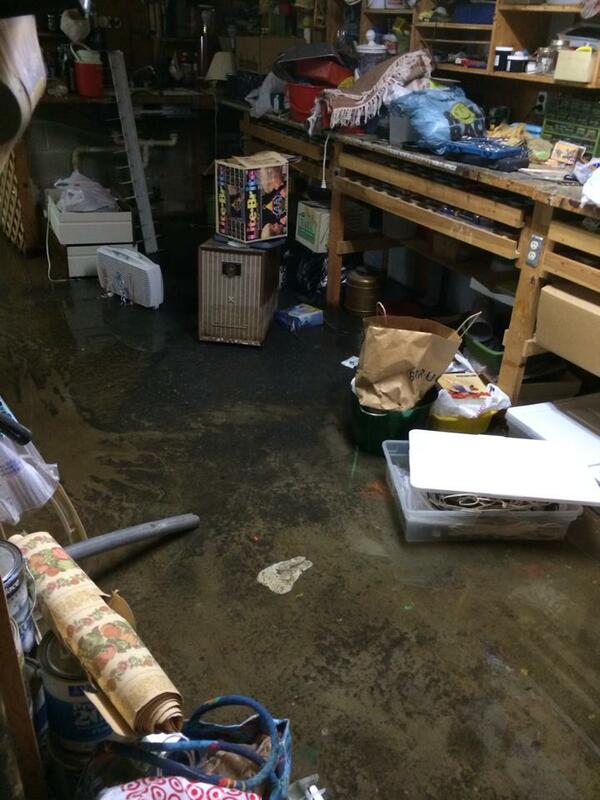 The longer the water is sitting, the more damage can spread and potentially become irreversible. Step #5. Call your insurance company. Let them know you have me on the way and inform them of the emergency so they can determine if there is coverage and begin the paperwork process. Step #6. Relax. Although this step may be very difficult and stressful, know that I will take every step necessary to get your home dry and get you back on your feet as fast as possible. I do not cut corners and will not compromise on quality. Ever seen someone flood their own house ON PURPOSE? Dana and I did just that. I know- we're crazy. Check out the video to see how we did it. Unfortunately bad things can happen to good people. That's why when disaster strikes, we're only a phone call away. I'm equipped to handle drying and cleaning up anything from an aquarium mishap to sewer backups and complete disaster flooding. I am certified to handle your emergency from extracting the water and drying the floors, walls, ceilings, and your personal belongings to getting your home back to pre-loss condition. I hope you never have to experience any type of water-related disaster, but if you call me to handle it, you can have the assurance it will be handled correctly and quickly.